In the past, it's taken me up to a year to finish a notebook. Large ones, small ones, it didn't matter. I was not very disciplined. 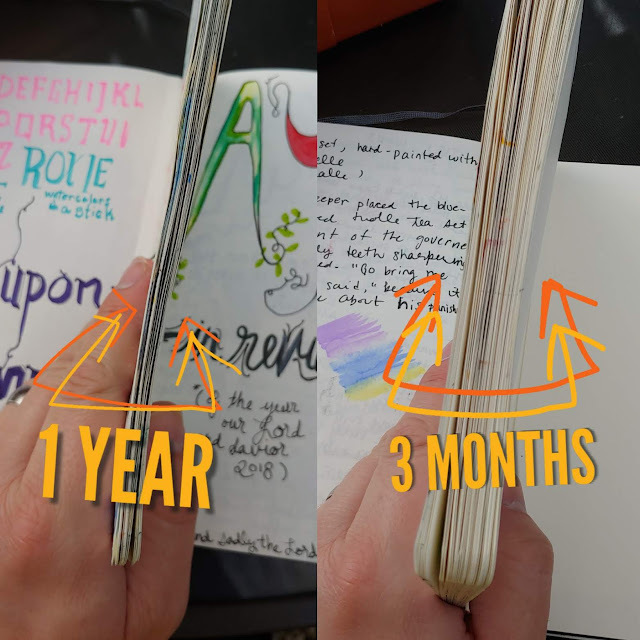 I would see people post pictures of piles of notebooks on evil social media (the place with which we compare our shortfalls to strangers), stating how they completed so many notebooks within a period of time. And here I was, mine covered in cobwebs. They're stack was completed in one day! Piled on top of each other were 15 or more notebooks. Filled to the brim. Pages bursting forth with personal promise. Then I looked at my sad five pages I did in a year. This past winter break, for some reason it occurred to me that, maybe, just maybe, I didn't have to write in it anymore. Instead, why not just draw and illustrate in my notebook. I could save my writing for other media and treat the notebook differently. 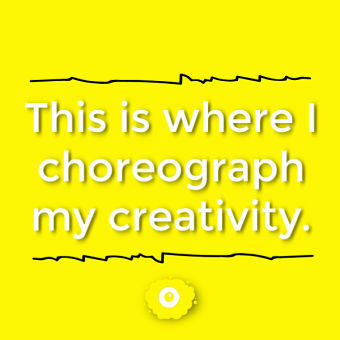 Doing that brought a vigor back to my creative self I had missed. I've been fretting the writing process for so long, that I had paralyzed my ability to create. So, I gave myself permission to stop focusing on the writing and, instead, focus on drawing, sketching, illustrating and design. This summer, I may even begin to work with painting...something I've never really focused on artistically as a serious medium worth pursuing. As we head down to Charleston, SC, I'm excited to be one of those people with my notebook and pencils, sketching. A half notebook may be done before this week is over.